In a path-breaking move, the Government of India has approved the induction of women pilots into the fighter stream of the Indian Air Force (IAF). A press release of Ministry of Defence stated that the first women pilots would be selected from the batch which is presently undergoing flying training at Air Force Academy. After completion of training, they would be commissioned in the fighter stream in June 2016. Thereafter they would undergo advanced training for one year and would enter a fighter cockpit by June 2017. The IAF had in the past shown reservations about inducting women in front-line combat roles. The Indian Army and Navy have so far not allowed women in combat roles. With this decision, women have now become eligible for induction in all branches and streams of the IAF. The air force has about 1,500 women, of which about 100 are pilots in the helicopter and transport units. 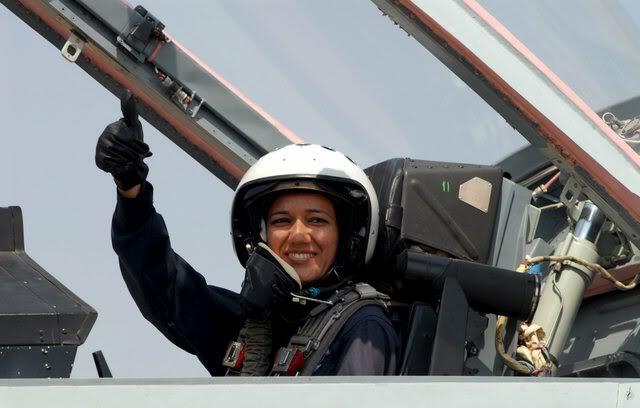 The decision means women would soon be flying fighter jets of the Indian Air Force. “This progressive step is in keeping with the aspirations of Indian women and is in line with contemporary trends in armed forces of developed nations,” the press release said. Many countries allow women to be fighter pilots. The USA got its first female fighter pilot in 1993 and the UK in 1994. Women are successfully flying fighter jets in France, Turkey, Israel and some other nations.